A.T miraculously chose this amazing Japanese restaurant for lunch on a 28 degree day because we figured sushi was a healthy alternative that would go down well in our battles against the scorching heat. 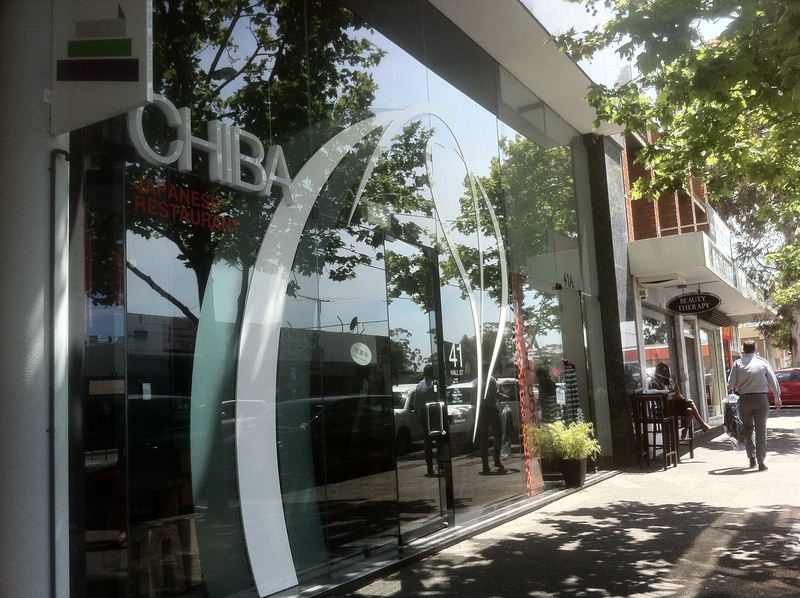 Chiba was the perfect decision; the restaurant has two storeys with a fancy, clean yet sophisticated interior. The restaurant doesn’t play background music, which was actually great because it creates a quiet and comforting environment. The staff were friendly, polite and professional, and the food is just exquisite! 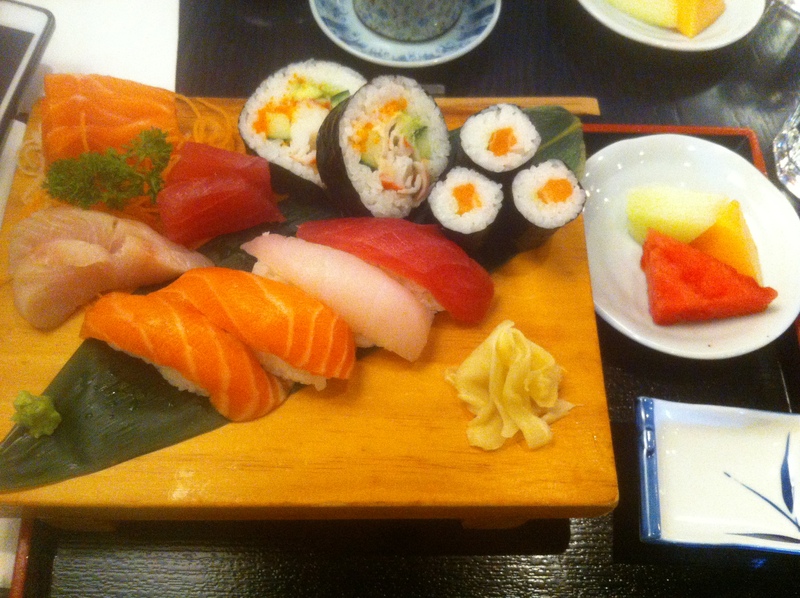 Moriawase (from the lunch menu – $17) – combination of sushi, sashimi and seaweed rice rolls. Bento Lunch Box (from the lunch menu – $15) – chef selection of the day (today was chicken teriyaki), including sashimi, tempura, small pieces of tonkatsu and shredded cabbage. Quality and portions were impeccable! The batter tightly clung onto the various vegetables (eggplant, pumpkin, etc) and prawn, which made the exterior of the tempura crispy whilst retaining the moisture and texture of the ingredients inside. Deep fried fish (not too sure, correct me if I’m wrong) was crumbed well, rice was fluffy and soft with great seasoning on top, and the teriyaki chicken was glossy, sweet and delicate. Cabbage provided tangy freshness to round off the meal. All elements (texture, flavour, presentation) were there and beautifully executed. 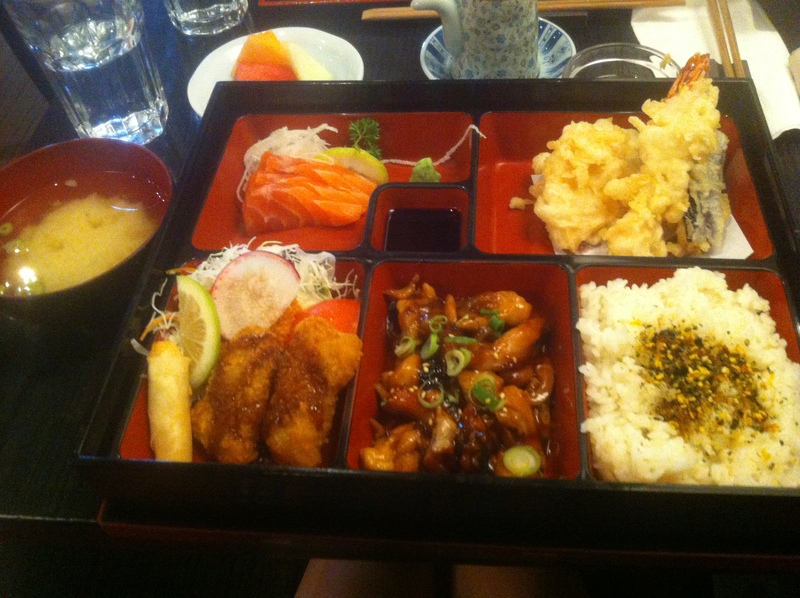 You can taste the love and care put into every single component of the bento. 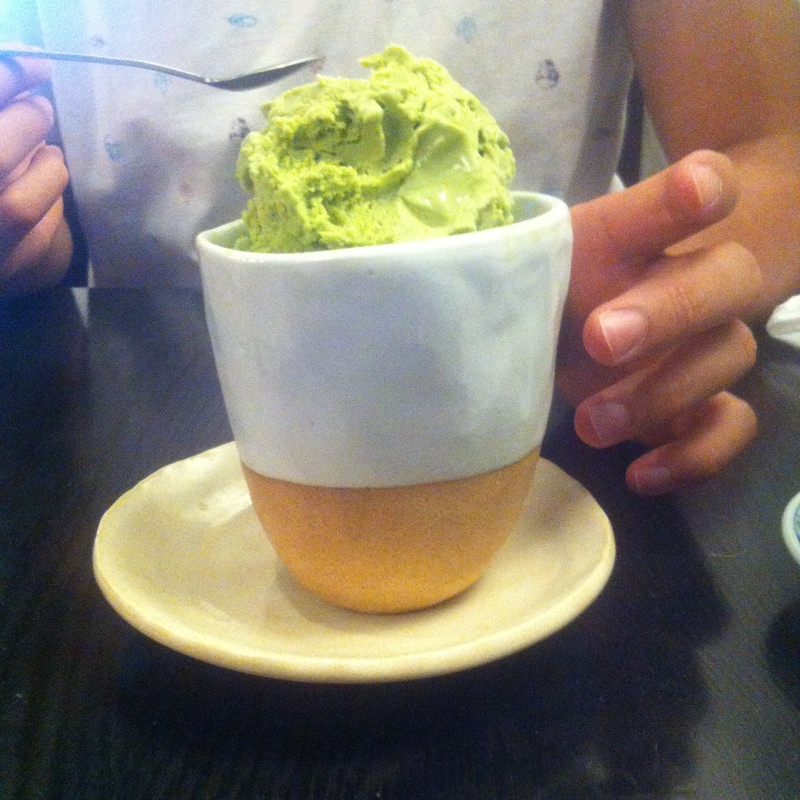 Our meals also included miso soup and dessert (which was just a few pieces of fruit). 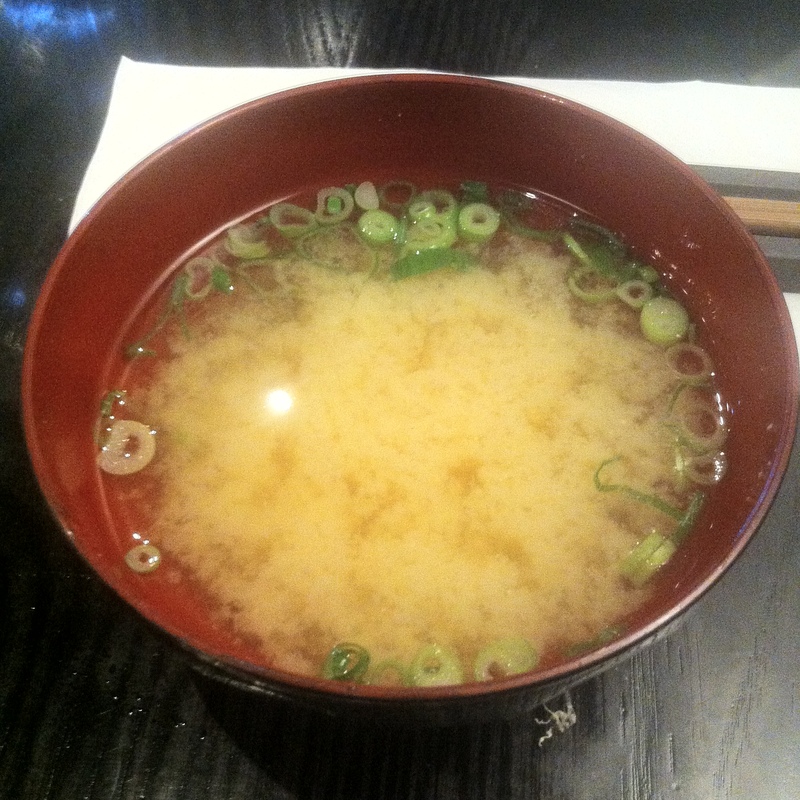 The miso soup had a homely simplicity, which made it soothing, light and nourishing. 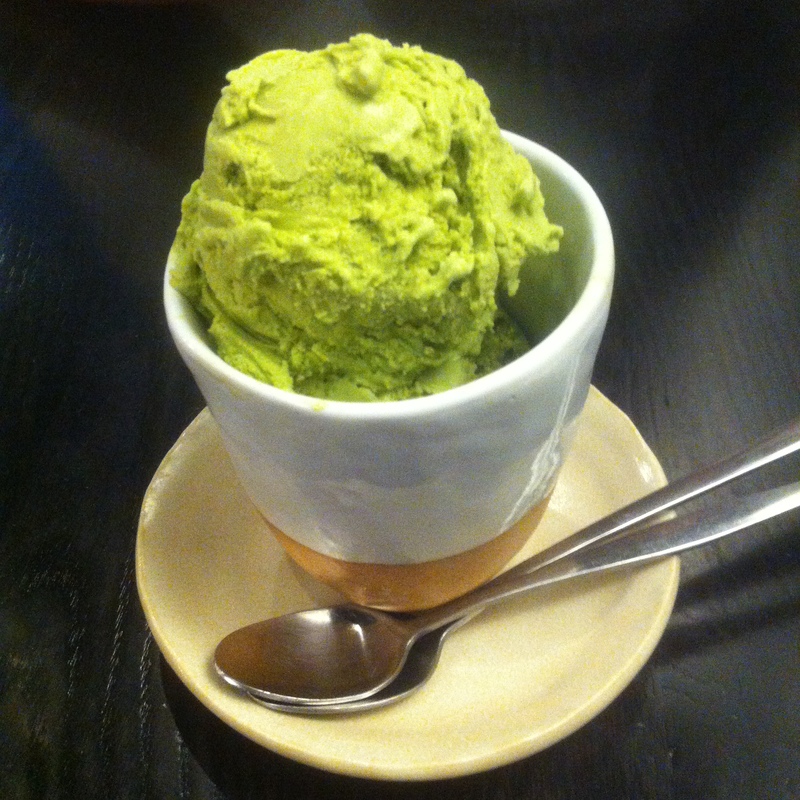 Green Tea Ice Cream ($6.50) – for me, green tea ice cream after any meal is guaranteed to keep me satisfied. Smooth, creamy and just the right amount of that green tea flavour. Yumyumyum! With bento boxes, Ebi Fine Foods and Chiba are almost neck to neck. Ebi Fine Foods is unique in their main dishes, which change daily. It is definitely the stand out as it infuses traditional Japanese meals with modern twists. The major let down with Ebi’s bentos are their cold and pre-prepared side dishes, which is where Chiba takes the crown and reigns supreme. Due to the freshness, generous portions, cheap price and amazing side dishes of Chiba’s bentos, I personally think Chiba wins (by a pretty thin margin). Arguably the best and my most favourite local Japanese restaurant yet!